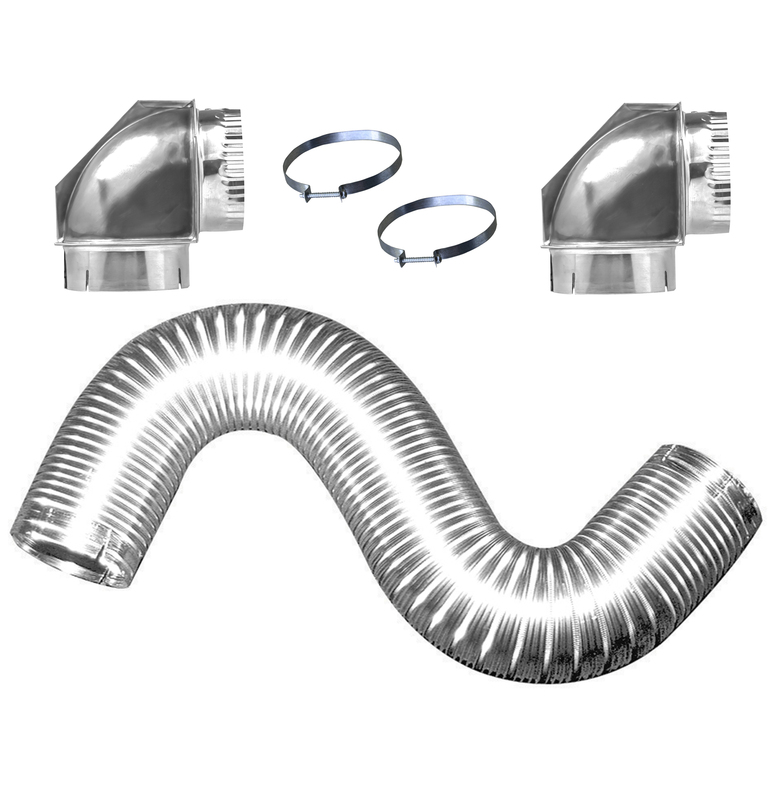 These kits feature the Builder’s Best® Close Elbow®, which makes 90˚ turns in 4 inches. 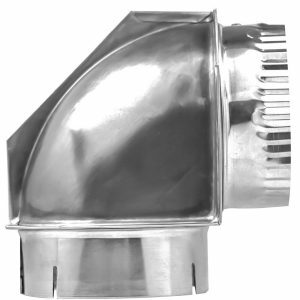 They include different types of semi-rigid flexible aluminum duct, with different end treatments and lengths. 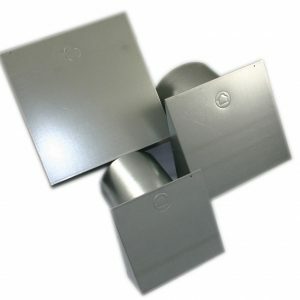 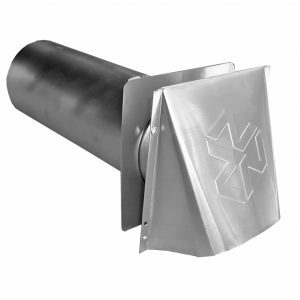 These all metal dryer vent kits meet manufacturer recommendations. 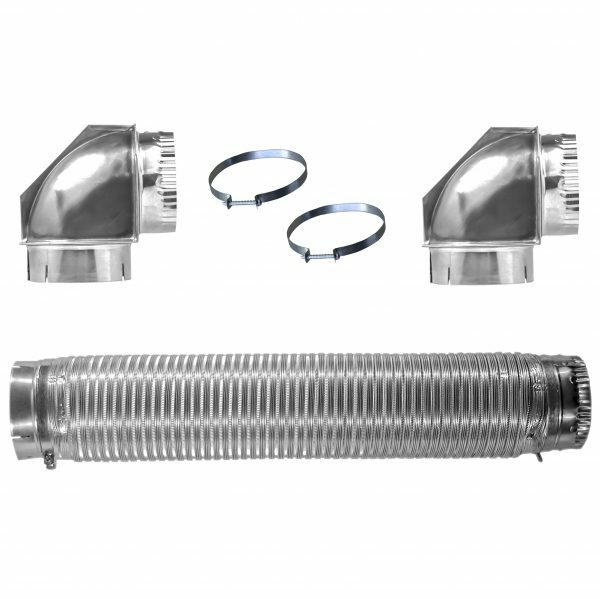 *This kit only requires two clamps thanks to the Snap-Lock Pipe.